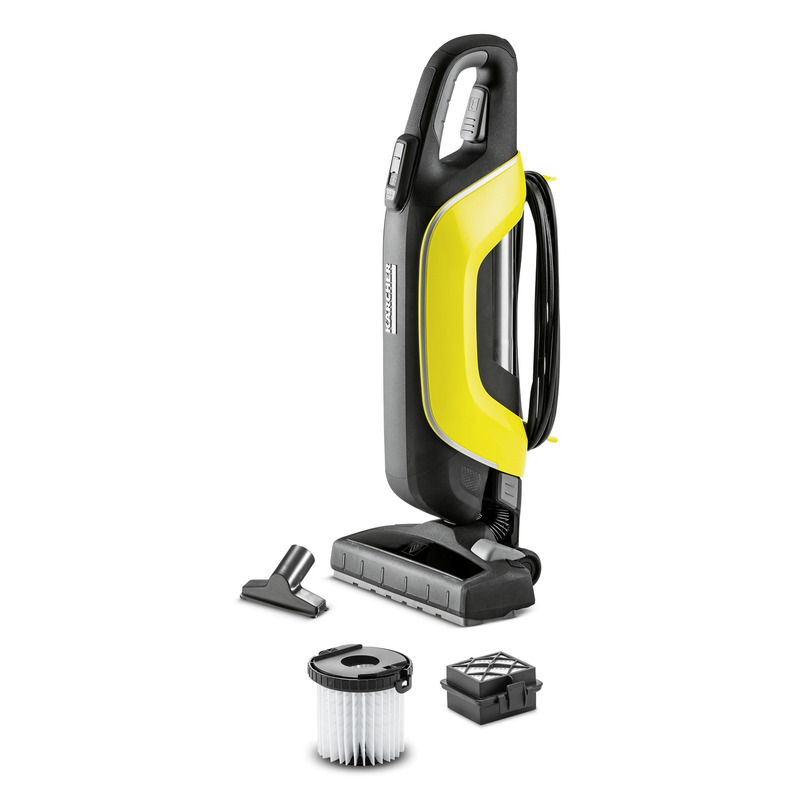 VC 5 13491020 https://www.kaercher.com/ae/home-garden/vacuum-cleaners/handheld-vacuum-cleaners/vc-5-13491020.html Small but strong: the bagless Kärcher VC 5 compact vacuum cleaner can be stored in the smallest spaces, yet cleans just as thoroughly as a canister vacuum cleaner. The device can be reduced to half its size at the push of a button. Easily stored in the smallest of spaces. Individual size adjustment. 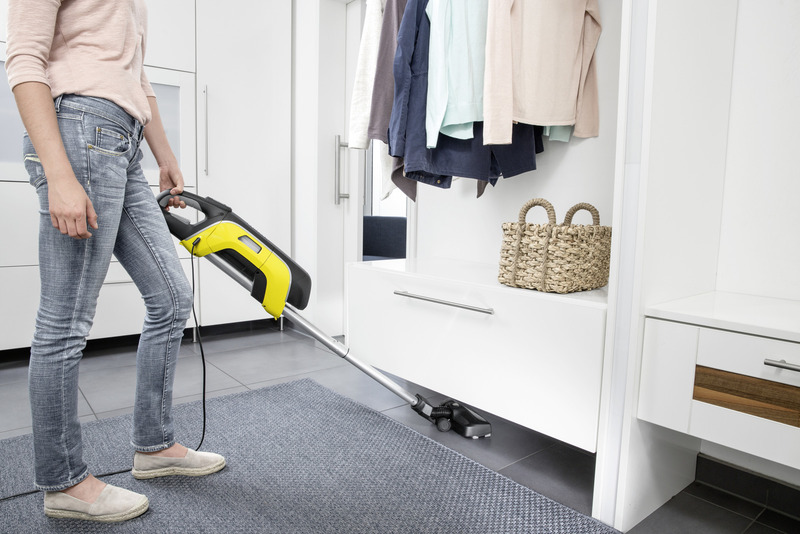 Excellent cleaning performance like large canister vacuum cleaners. 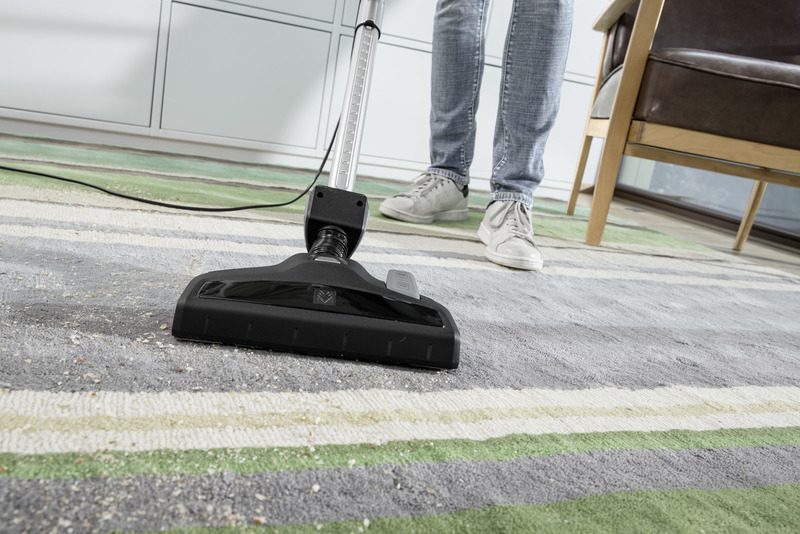 Excellent manoeuvrability and easy to clean under furniture. No need to buy replacement filter bags. Reliable dirt absorption in the device. Automatic filter cleaning when the filter cover is opened. Removing the filter from the device is extremely easy. Quick and easy filter emptying. Quick and secure device parking during working interruptions. Compact transportation of the device. The power can be adjusted quickly and easily to suit the particular application. Option to attach additional accessories for ideal cleaning in every area of the home. Cable allows for space-saving storage on the rear of device and easy removal thanks to the rotating hook design.